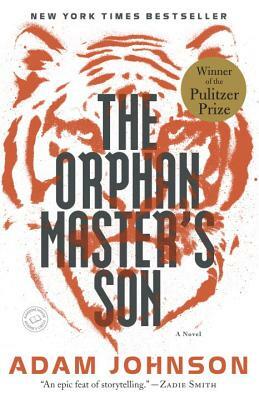 A New York Times Bestseller, The Orphan Master's Son is one of the most difficult stories I have ever read. By difficult, I mean the story line - full of violence and torture. If I had not read the non-fiction book, Nothing to Envy by Barbara Demick first, I would never have thought a story like this might be near the truth. Having said that, it will be a book I won't forget! The story takes place in current day North Korea, and follows the life of Pak Jun Do who was brought up in an orphanage. His father was the Orphan Master. Through fate and recognition as a gifted young man by the superiors in the government, he is assigned various duties including kidnapping Japanese citizens for "The Dear Leader"-Kim Jung Il, intercepting and translating American radio transmissions, being given a mission to Texas as a translator, and being recognized as an imposter of a well-known general. A tale of many twists and turns with countless deceptions, it may, nevertheless be possible in a totalitarian regime who has starved millions of its own people. By focusing on one life, it becomes even more real. If you can stomach the violence ( I skimmed many of those parts), you will find a potent, skillfully written novel based on historical fact.